Owning a small business means taking care of everything on your own in many cases. Hiring more employees can often come with added chores if you can afford it at all. And while accounting is no one’s favorite task, it is absolutely essential that it be done correctly. This is why many small business owners turn to apps that allow them to keep up with bookkeeping on the go. When you can enter transactions as they happen, you cut down on the amount of time you have to spend bent over paperwork in the future. There are hundreds of accounting apps out there designed specifically for small businesses, and many of those have nearly identical features. These tools allow you to not only perform complex math with just a few entries and clicks, but also provide integrated tools that allow you to send off tax paperwork, automate bills and payroll, and print out easy-to-read reports at a moment’s notice. So how do you choose which apps you really need to have? Here are our top nine favorites for your small business accounting. While there are many examples of the biggest not always being the best, that isn’t the case with QuickBooks. This powerful app was designed to allow non-accountants to perform all the tasks an accountant would for businesses of all sizes as well as for personal accounts. With different price levels for different types of businesses, the software is accessible for every budget. You can start with just a basic accounting package, but quickly add other features, like inventory tracking, payroll management, profit analysis and more. Everyone from Forbes to Fundera has recommended FreshBooks in the past, and for good reason. This accounting app manages invoices, tracks expenses, and keeps up with your cash flow – everything you need to ensure that your bookkeeping is in great shape all the time. It also helps you track time, organize your budget, and even follow up with your clients from within the app. Great customer service is always a bonus in today’s world, and FreshBooks has a consistently awesome reputation in this department. 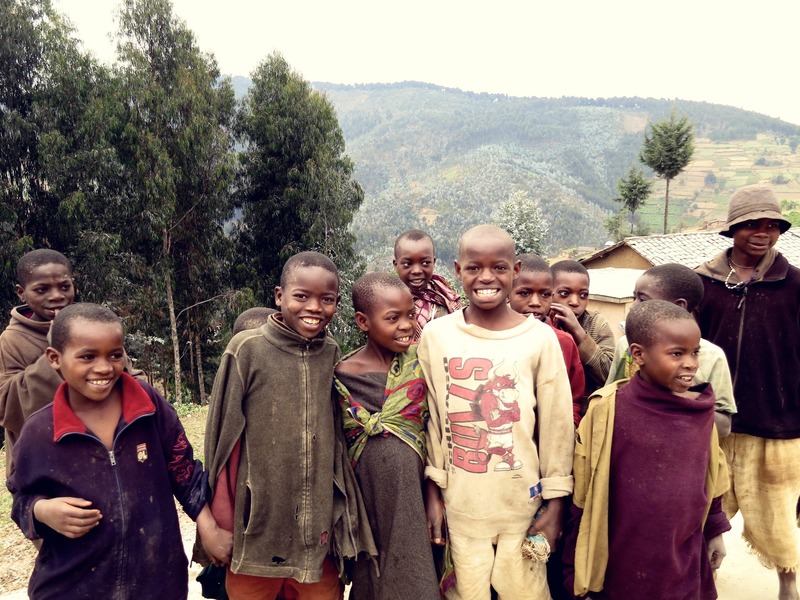 The mobile app is not only inexpensive but also intuitive to learn and use, with a simple UI and nothing to clutter up the screen or slow down the experience. Wave is an accounting app that was specifically designed for small businesses, and the best part is that the accounting tools are totally free. Business owners can create invoices, do all their accounting, scan receipts and more for free, without any limits. Wave supports their software by utilizing a pay-as-you-go model for extra features like credit card processing and payroll. Wave’s software has won plenty of awards for its intuitive design and stylish look, as well as for the impressive customer service reputation. It syncs to your desktop or your mobile device, and there are no contracts, commitments, or any other surprises along the way. Gusto is an app that lets you focus on a specific area of bookkeeping that is often the most confusing for small business owners: payroll. Gusto automates taxes, W-2s, health benefit payments, worker’s comp, retirement funding and more. This app basically acts like your own personal HR department as well, keeping employee records in order and organized. While this isn’t a full bookkeeping app like the others, Gusto does provide a very important service for business owners by ensuring that they are staying compliant with every agency or department that is required. HIPAA, ACA, the IRS – all of that is covered. Like Gusto, Expensify focuses on one specific area of accounting for your small business – tracking expenses. However, what makes Expensify worthwhile is the way it can combine expense information from multiple employees or owners into comprehensive reports that can be easily forwarded to the CPA at tax time or sent up the chain for approval. The app also allows you to add expenses that weren’t recorded, scan in receipts, automate regular expenses and keep track of cash flow. The mobile app is free. If you’ve done a bit of accounting before and are too used to the old spreadsheet method to really “get” sleek accounting apps, then GoSimple, formerly called Arithmo, is a great compromise. This app is designed for small business accounting that looks and feels like a spreadsheet but does away with all that painful copy pasting and formula filling. Instead, it automates all the math and returns a spreadsheet that you can easily understand. 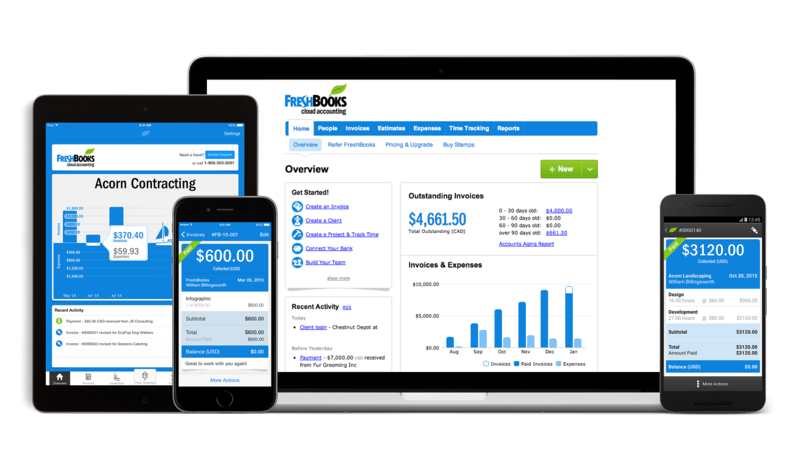 It’s also very intuitive to users who have no accounting experience and offers plenty of accounting tools that rival even QuickBooks. Import bank statements, track creditors, create invoices, calculate quarterly VAT and more. 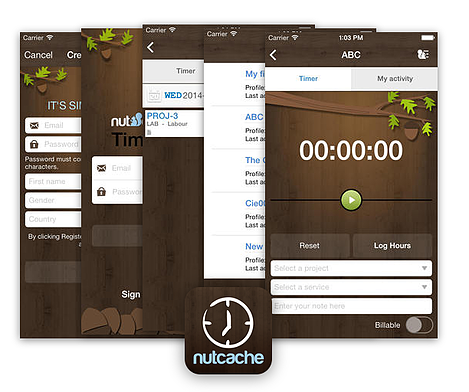 Nutcache is a little more than an accounting app, which may make some users wary. But small business owners have been swarming this free app thanks to a variety of very cool features. Accounting features include online invoicing, expense management, setting up reoccurring invoices, credit card processing, budget management, and real-time reporting. But the app also lets you manage projects, collaborate in-app, time your work, create estimates and approve them, and more. Because it’s entirely free, it’s pretty easy to see why so many business owners are giving it a chance. There is an upgraded premium version for a monthly fee, but only affects the number of projects you can manage and does not affect the accounting features at all. TurboTax is another app that focuses solely on one aspect of accounting; in this case, it’s your taxes. TurboTax is a well-known leader in the world of tax, making it easy for businesses and individuals to file their taxes without seeing a CPA. While it’s still a good idea to consult a CPA when you’re operating a small business, this app can help you get the task done without all the hassle. There’s a free version that is simple to use, and the paid versions will give you even more features. You can use it to get an idea of what you can or can’t deduct, get an estimate on your tax bill or return, or use it to file if your taxes aren’t that complex. It’s a handy tool for small business owners who need a step-by-step process to help them understand business taxes. 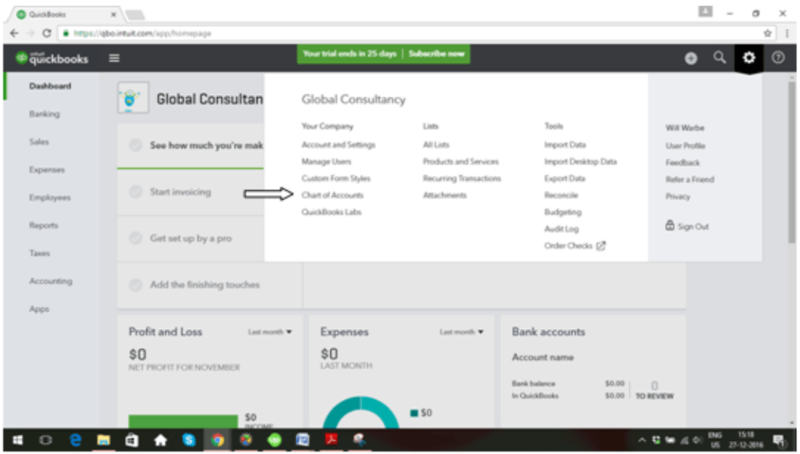 FreeAgent is one more “all in one” accounting app that is worth our top nine list. This app does everything you need it to run a small business – send estimates, create invoices, get a good estimate of your tax bill, import bank statements, manage and track all your expenses, view your real-time profit and loss reports, collaborate with your accountant and much more. The accounting system is simple and easy to use, and the customer service can be reached in a variety of ways. FreshAgent is primarily aimed at users in the UK and has the ability to directly submit VAT to HMRC as well. 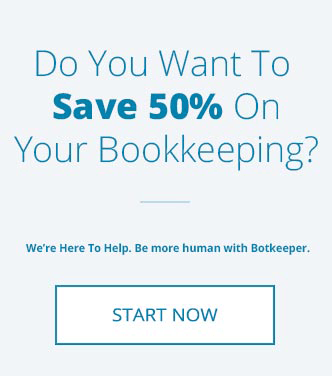 These nine apps are some of the best out there for small business bookkeeping, but we’d be remiss if we didn’t tell you how botkeeper compares. Botkeeper is unique in that it lets you choose the type of reporting that you actually want. Instead of overwhelming you with tons of reports and information that you may not need in your business, you can choose from reports such as income statements, cash flow statements, profit and loss tracking, performance indicators, budget management, and more. You can also create custom reports that fit your needs as a business owner. 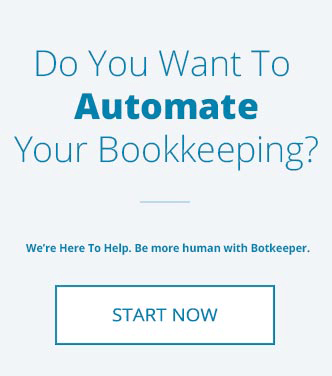 Botkeeper also provides you with a dedicated accountant that can help you with any questions you run into. You don’t pay anything extra for bookkeeper services, and you’re guaranteed quality advice from a licensed accountant. You can get started with botkeeper in as little as a single hour.